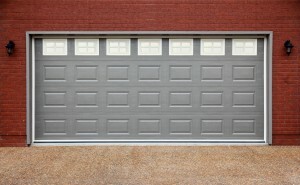 If you’re looking for garage door installation services, you’re in the right place. 31-W Insulation offers professional installation services in Johnson City and the surrounding areas of Tennessee. With more than 40 years of experience helping homeowners throughout the region, we have the experience you can trust to install your garage door safely and efficiently. If your current door is not working, worn out, or sagging, you may not only have an unappealing garage façade, but you could also have a safety hazard on your hands because a door that doesn’t function consistently and predictably could lead to accidental injuries. But with a new garage door from 31-W, we can help you eliminate safety issues and increase the curb appeal of your Johnson City, TN, house. Our free consultations and estimates allow you to select the right door for your home before making a purchasing decision. Our garage doors are manufactured by Amarr®, a trusted brand that offers durable garage door products in a variety of styles and materials. Our doors often include a limited lifetime warranty so that your investment is protected well into the future. Our technicians are factory-trained and -certified to install your door properly and precisely. Our A+ rating with the Better Business Bureau demonstrates our commitment to top-notch customer service. At 31-W, we help you take care of your home improvement needs from the start of the project to its completion to make your dream home a reality. If you live in Johnson City, TN, or the surrounding area, contact 31-W Insulation today to learn more about the garage door products and installation services we offer.